Like most of us, I take the availability of electrical power completely for granted. But as recent events have shown, disaster can strike at any moment and leave us without power for weeks at a time. Given our increasing reliance on mobile devices that can barely last a day, it's a sobering thought. 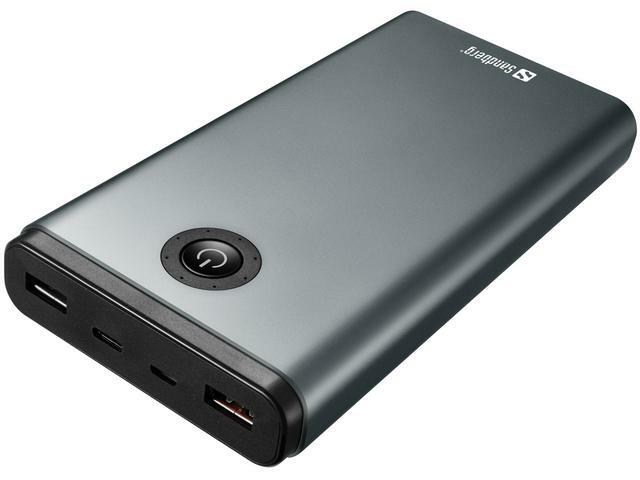 Whether it's for an emergency, camping, or travel, Sandberg thinks they have a great general purpose solution for our portable power needs: the Powerbank USB-C PD 65W 20800. 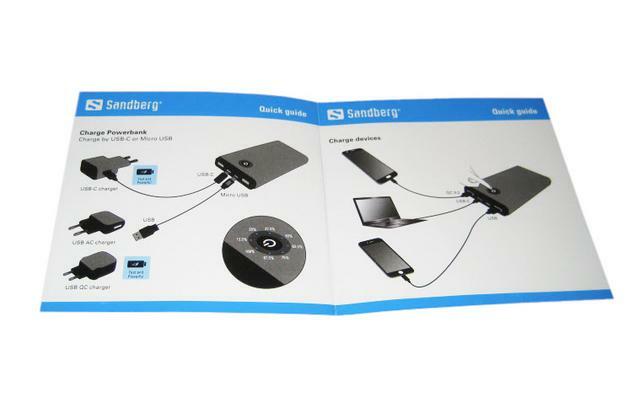 Sandberg has launched this impressive concentrate of portable power that features Quick Charge 3.0, the latest technology available from Qualcomm to charge QC 3.0 compatible devices much faster than using conventional charging technology, and even an USB Type-C port, that is becoming a standard nowadays with latest devices. This should be able to score in addition to a large capacity of 20800mAh. Let's take a look at the test if the Powerbank can convince you for around $133! 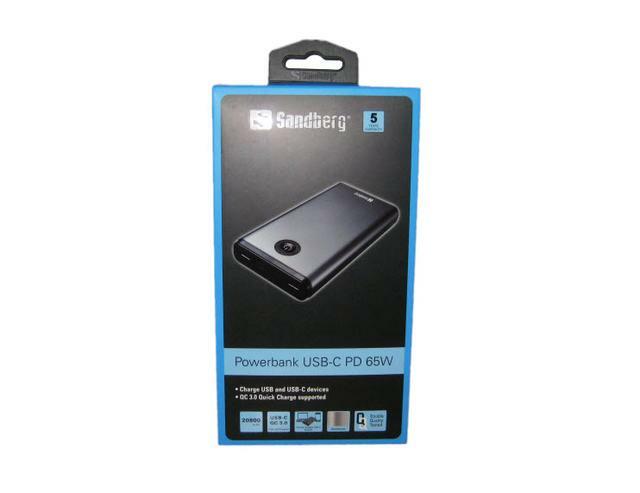 The Sandberg Powerbank USB-C PD 65W 20800 comes in a nice retail box. On the front there is a large photo of the unit. 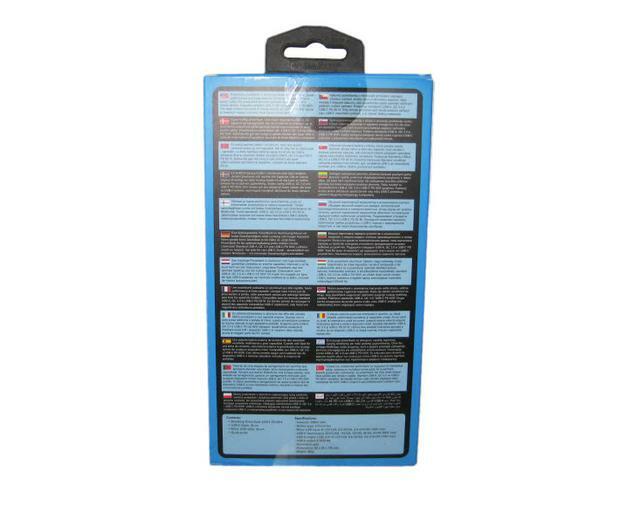 At the rear of the box we see a description of the product printed in many languages right above the contents and specifications lists. User guide guides the user on all aspects of using Powerbank. In the box you'll get a micro USB charging cable and a 0 cm USB-C Cable. Of course Sandberg does not provide a charger with the delivery. If you have a Quick Charge enabled smartphone, chances are good that it already had a suitable Quick Charge compatible charger included. From a visual point of view, there is not much to say about the Sandberg Powerbank USB-C PD 65W 20800. A simple aluminum power bank with plastic end caps in which the connections are embedded. 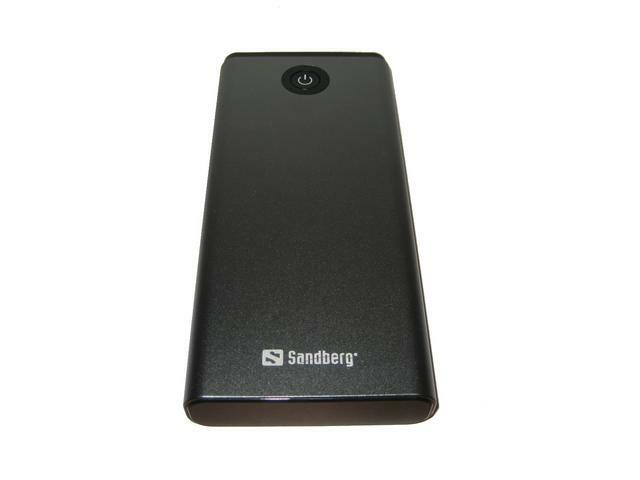 Overall, the Sandberg Powerbank's build is structurally strong and doesn't have any pieces that will easily become loose and fall. 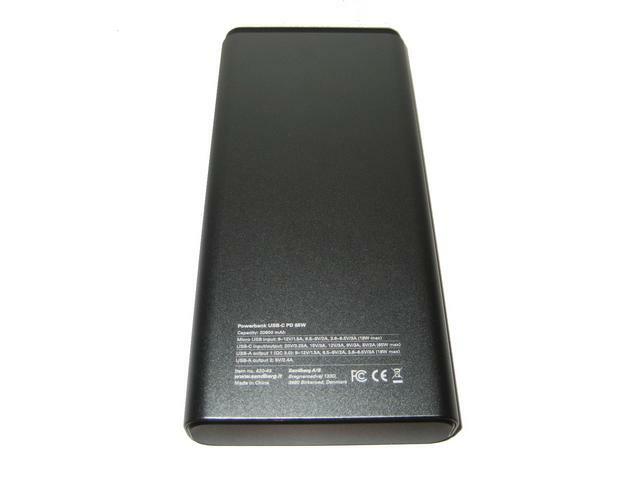 The weight, is fine for an large capacity Powerbank with about 450 grams. So it's heavy but it's actually relatively lighter than other portable chargers of its size. 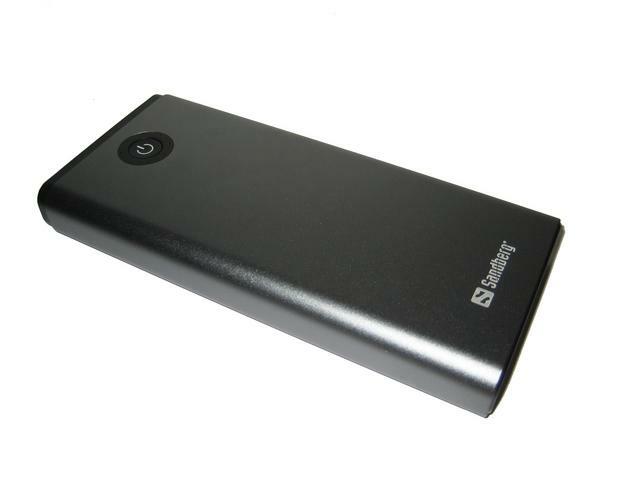 Most portable chargers with its capacity weigh a full 500gr or more. So with its dimensions and weight, it's not the best option to hold it in your hand. However, it's best to use this portable charger in a not so portable way by setting it down and using it. Considering that you can charge 3 devices at the same time, the charger is really meant to be used as a charging hub. Portable chargers like these are still portable but more in relation to long distance traveling. Use it as a wall charger but it gives you a lot more freedom of where you can place your charger and the fact that you can have your devices right next to you. 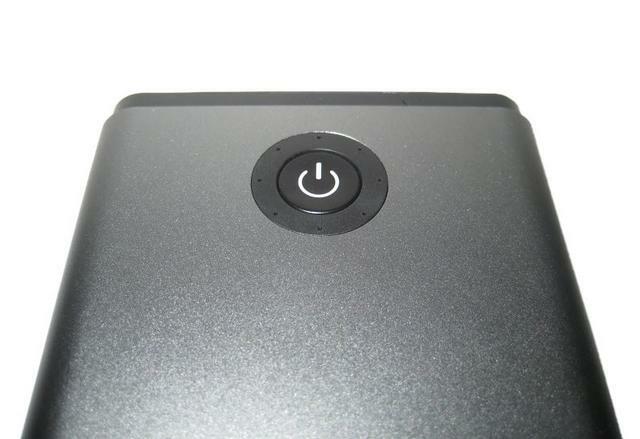 On the top of the power bank is a concaved button that activates the battery indicator. The LED lights will glow for a few seconds. Each one represents a remaining charge. The Sandberg has a total of four ports, of which three are outputs and two are inputs. "But that would be five ports" No two of the outputs are regular USB ports, the third is a USB C port. This can serve both for charging the power bank itself as well as for connecting other devices. 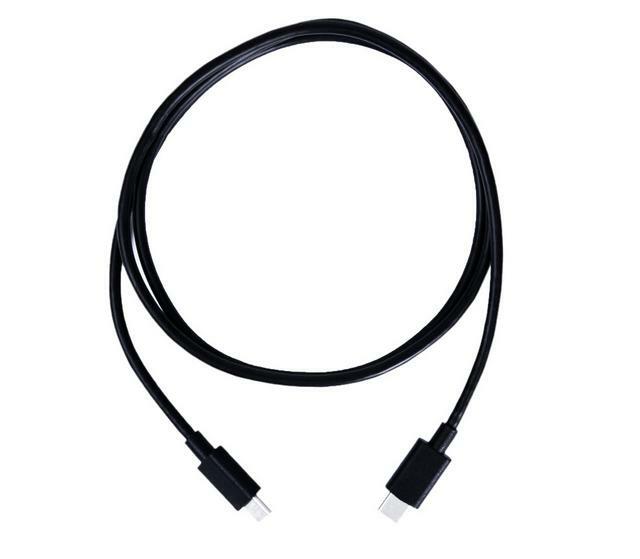 But you are not completely dependent on this USB C connection to recharge the power bank. 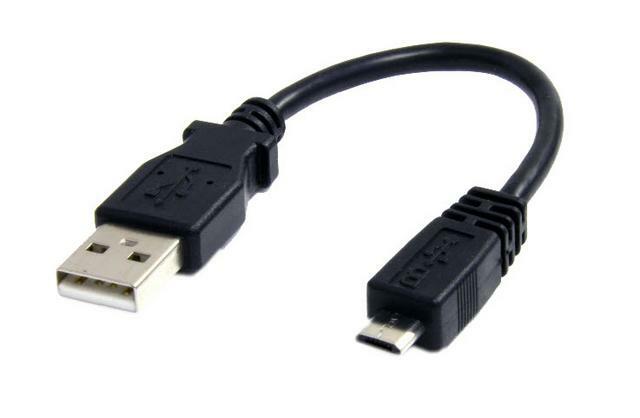 In addition, there is still a normal microUSB port available. The two USB outputs are a "regular" 2.4A iSmart port and a Quick Charge 3.0 capable port. QuickCharge 3.0 has only a slightly increased load speed compared to 2.0, but the efficiency has increased a good deal. If you charge a smartphone with 1000mAh, that does not mean that these 1000mAh end up in the battery. 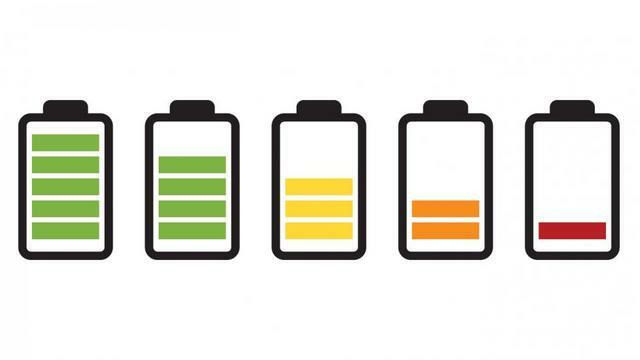 As with unloading the power bank itself, there is also a loss of energy when charging your smartphone battery. And Qualcomm would like to reduce this with Quick Charge 3.0, which is why this technology makes sense in a power bank. Incidentally, there is no problem with a Quick Charge 3.0 capable charger loading a Quick Charge 2.0 or even a non-Quick Charge capable device. At the heart of this Powerbank is an 8-cell Samsung battery pack. There's a lot of technology squeezed in ensuring optimal performance and safety. These include QC 3.0 dual chips, modules and controllers. Before jumping into the power bank Test, I thought it would be useful to explain a little about QC 3.0 charging technology. The QC stands for Quick Charge, the 3.0 is its current version. It's an advanced charging technology developed by a company called Qualcomm. It works by identifying the exact voltage required at any given point during the charge. A regular battery or mains adapter will put out a 5V charge and feed at a rate of around 2.5Watts. A Quick Charge 3.0 Power bank will safely give out 12V and up to 20Watts - that's a huge difference. 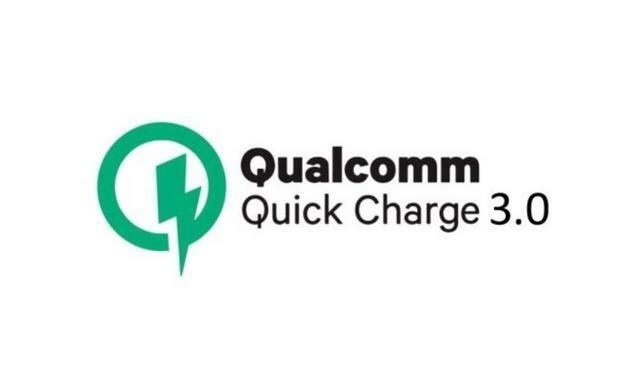 Qualcomm Quick Charge 3.0 technology is fully backward compatible. If you're plugging a QC 3.0 wall charger or power bank into an earlier phone model, it will either charge at QC 2.0, QC 1.0 or regular speed charging rates, depending on your phone's spec. Do you need a power bank with Quick Charge 3.0? The short answer is yes! Especially if you're choosing a high capacity power bank. I've tested many 20000mAh power banks. Most of them will take anywhere from 10 - 14 hours to recharge, even from a mains adapter. The Sandberg Powerbank USB-C PD 65W 20800, recharged from a QC 3.0 adapter, will take just over 4 hours. That's hugely impressive. First we start with the capacity. This is stated by Sandberg with 20800mAh, I could measure 19537mAh or 72.288Wh. 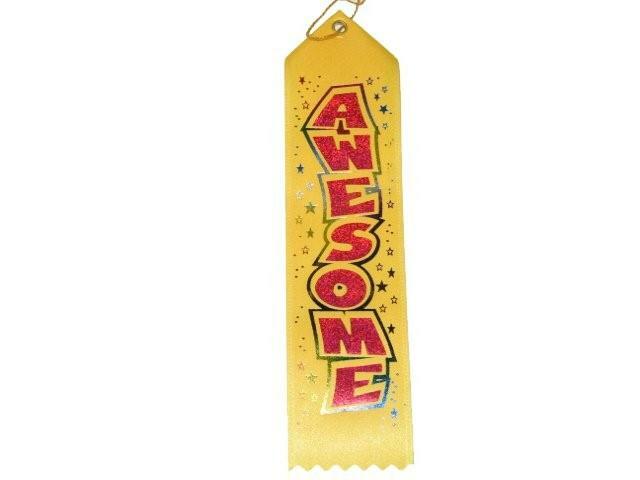 This corresponds to a very good 94% of the manufacturer's specification. Why are 94% good? The manufacturer's specification does not refer to the ultimately usable capacity but to the capacity of the internal built-in battery cells. This not only makes Sandberg so, but pretty much all power bank manufacturers. 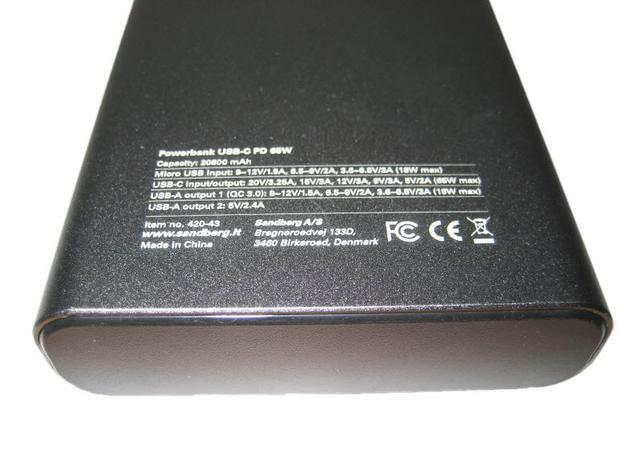 Since the Sandberg Powerbank USB-C PD 65W 20800 is relatively easy to open, I checked it out. 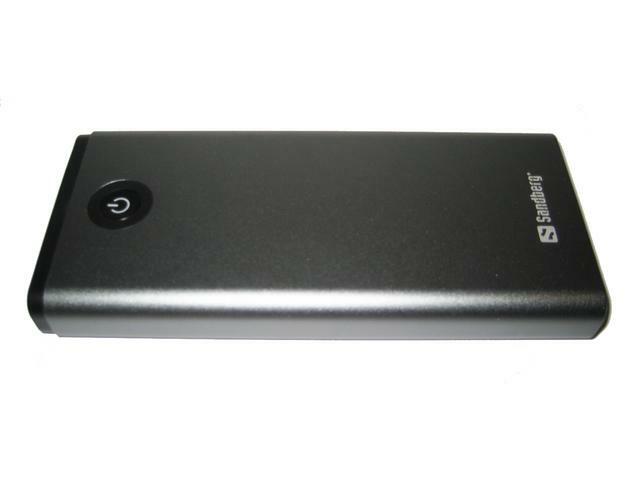 Inside there are in fact eight 2600mAh cells, which corresponds to the specified 20800mAh. These are even good Samsung battery cells! Samsung belongs together with LG, Sony and Panasonic to the better battery manufacturers. Discharging the battery cells and converting the voltage from 3.7V to 5V is not 100% efficient. Therefore, 94% is a very good value! The Sandberg Powerbank USB-C PD 65W 20800 ports are very different, 1x USB C, 1x USB A "2,4A", and 1x QC3.0. Accordingly, the charging speed is very different depending on the port and depending on the smartphone. Let's start with some Apple devices. The Apple iPad Pro achieves a good 2.51A on the USB C port (via the Apple USB C to Lightning cable), on the normal USB port 2.02A and on the Quick Charge Port 0.98A. The iPhone 7 Plus can not charge via the USB C adapter cable, but achieves a good speed on the normal 1.51A USB port and 0.98A on the Quick Charge Port. Apple devices often load suboptimal on Quick Charge connections. In case of emergency, if the normal 2,4A port is occupied, you can load your iPhone also at the Quick Charge Port, it only takes longer. Let's continue with Android devices and the Samsung Galaxy S8 Plus here. This unfortunately did not like the USB C port, nor the normal USB port very much. On both ports, I could only reach a charging speed of 0.48A. On the Quick Charge 3.0 port, however, the S8 + reached a good loading speed of 1.45A and 9V. As a second Android smartphone I tested the Google Pixel XL. 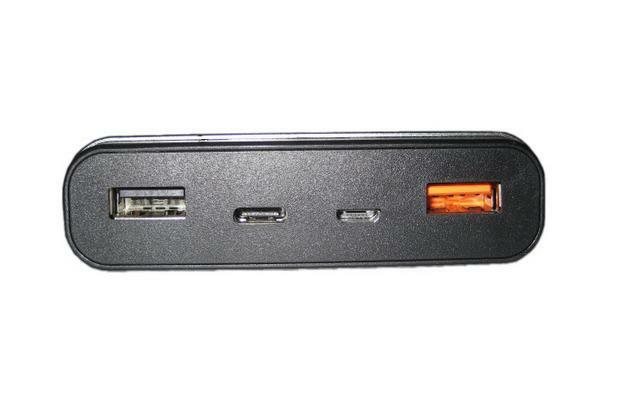 This reached the USB C port 2.22A, the normal USB port 0.98A and also the Quick Charge Port 0.98A. What do we learn from these values? It was possible to load all tested devices at the Sandberg Powerbank USB-C PD 65W 20800 at a very tempo. However, this may require a lot of experimenting which port charges which device the fastest. What about the recharge of the powerbank itself? Here I could reach 1.8A, an acceptable recharge speed. This new generation of high capacity portable chargers is looking bright. Power banks with these kinds of capacities are able to be closer to their advertised capacity and they're able to provide fast charging tech. 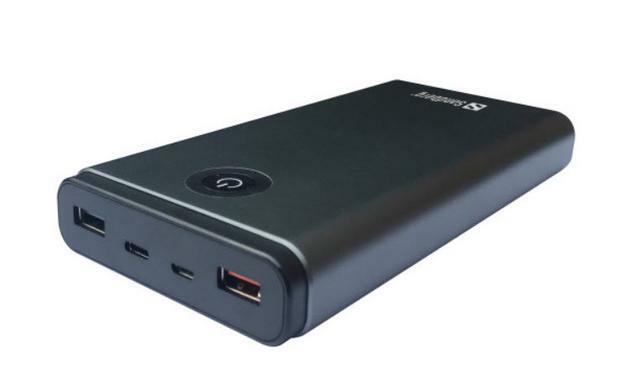 Most airlines allow power banks in the range of 20000 mAh - 32000 mAh in cabin baggage. Also, a clear identification of mAh is essential. So, with a well-marked '20800 mAh' the Sandberg Powerbank USB-C PD 65W 20800 is ideal in more ways than one. You can take it in your carry-on luggage confidently. 20,800 mAH capacity is almost the maximum for adequately charging the latest high-capacity battery smartphones about 4-5 times. It is also enough for a single charge for a Macbook/Chromebook etc. while leaving some juice for the phones! With USB C and Quick Charge 3.0, the Sandberg Powerbank USB-C PD 65W 20800 is absolutely future-proof. Especially Quick Charge 3.0 makes this powerbank for some users very interesting. The Powerbank offers a good, if not outstanding, workmanship and feel and loading speed is also good on non-Quick Charge enabled devices. The USB C port, which can be used to charge the power bank (albeit much slower than via microUSB) as well as to charge smartphones / tablets, offers a very high level of flexibility. The reliability of the charger is good, like most portable chargers with a lot of power capacity. It can last long without needing a recharge, and when you do need to recharge it, you can use either the Type-C port to fully recharge it in 4.5 hours. The Powerbank is slightly on the bulky side but that is a minor complaint when compared to the good balance of features and build-quality that it offers. 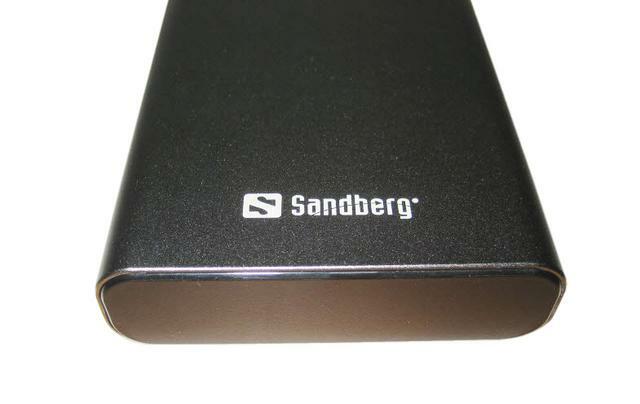 Sandberg Powerbank USB-C PD 65W 20800 it's not a Powerbank for everyone. Not all, in fact, we want 20800 mAh to recharge (and size) constantly behind. Others, however, use daily more than an electronic device (who for work, who for another) and it is not always easy to stay behind the top-ups of everyone. 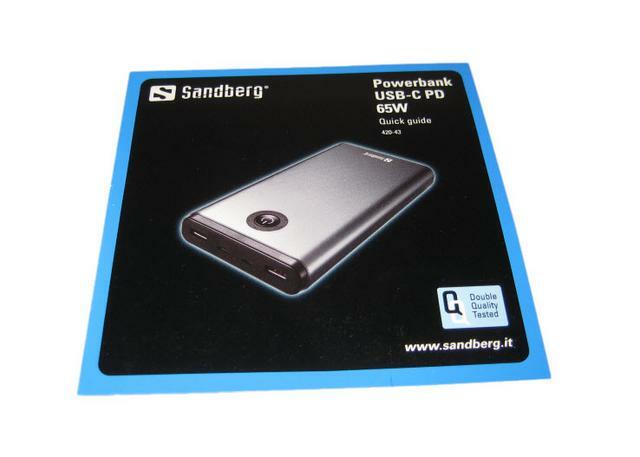 Sandberg Powerbank USB-C PD 65W 20800 is addressed to these people, who do not need a simple recharge but a certainty, a promise: that they will not remain never with dead batteries, especially in case of need. Last edited by testman78; 01-13-2019 at 09:28 PM.